The Babolat Project One 7 has ended and the new Babolat Pure Strike line has been revealed. 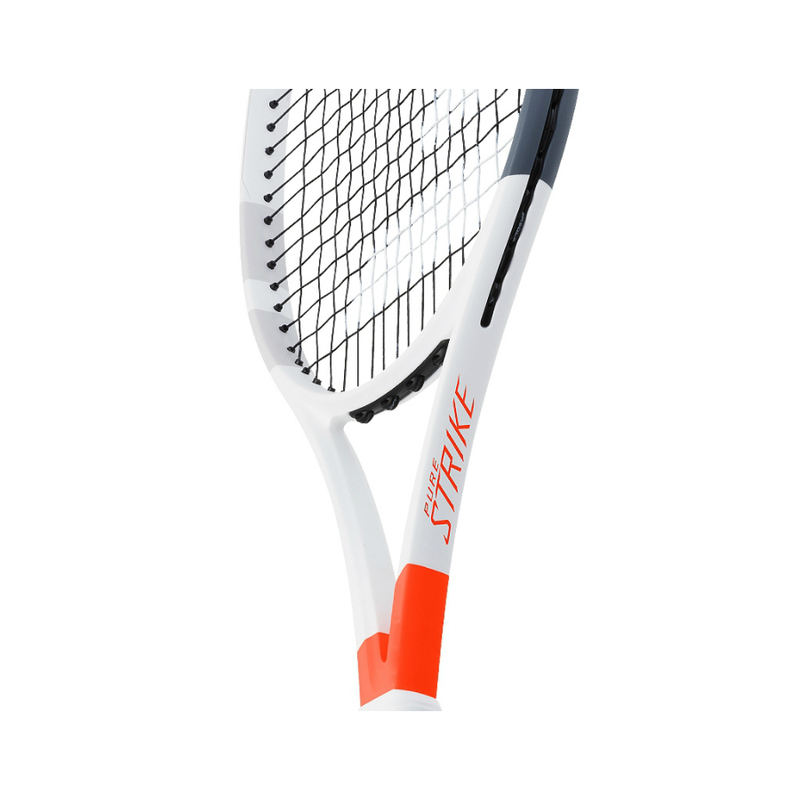 Complete with FSI (Frame String Interaction, which means a tighter pattern in the sweet spot area). Back in April Dominic Thiem showed up for practice leading up to the Monte-Carlo Masters wielding a new frame. The predominantly white racket was labelled ProjectOne7. Besides the new look, this update also boosts structural changes. We have demos of the BABOLAT PURE STRIKE 100 and the BABOLAT PURE STRIKE TEAM in store now for you to try out in the Hitting Room, or take away and try out on court for a week………..see what you think.